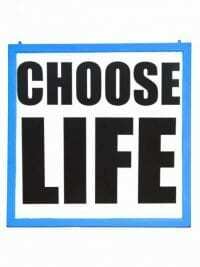 Original WHAM Slogan of the 80’s ‘CHOOSE LIFE’. 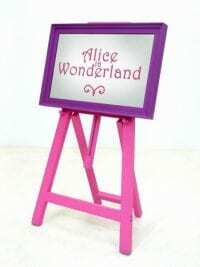 This lightweight sign is in a frame which can be easily hung. We also offer a customisable version of this Blue Framed Sign. 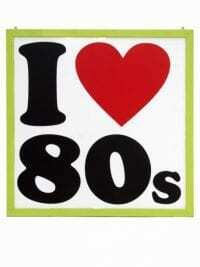 What would your 80’s theme night be without this iconic sign of the times. Sign is mounted on lightweight board, and can be hung easily. 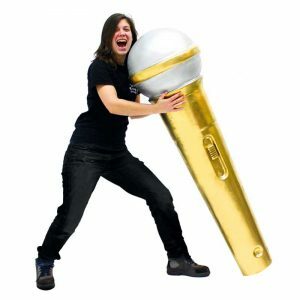 We also offer a customisable version of this product with a custom printed insert. 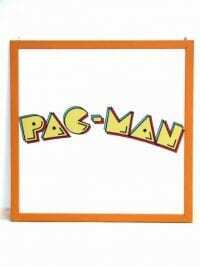 Iconic 80’s theme sign. 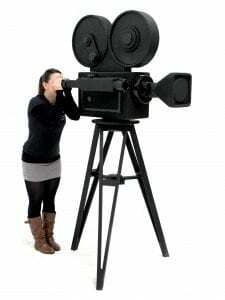 Lightweight board which can be hung easily. 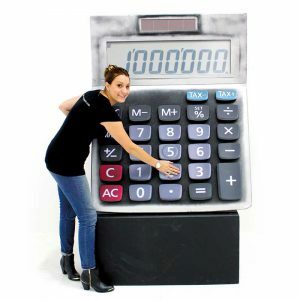 This freestanding prop depicts the classic Abba logo making it perfect prop hire for any 70's, or Back to School themed event party. 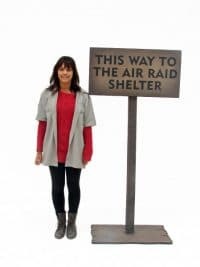 Air Raid Shelter Sign available to hire! 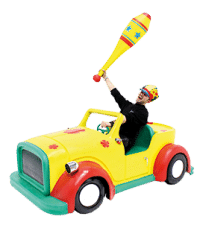 This prop would make a great addition to any World War 2 or Blitz themed event, and would help guide your guests in the right direction! 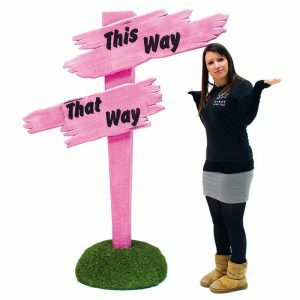 Free standing and easy to move, this Air Raid Shelter Sign would look great with some of our other Wartime themed props, check them out! American Diner Sign available to hire! 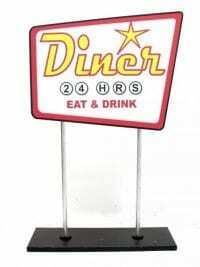 This freestanding sign in iconic American Diner font and design will be perfect prop hire for any 1950's or American diner themed event party. 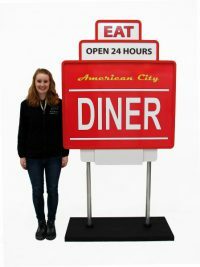 With it's instantly recognisable design, this sign will transport your guests straight to an American Diner on route 66! 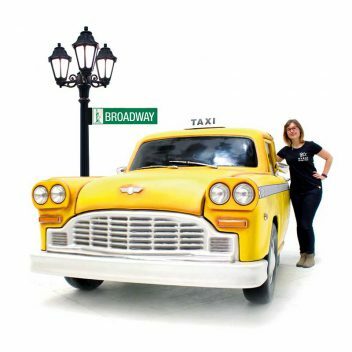 Why not take a look at our other American Diner themed props? 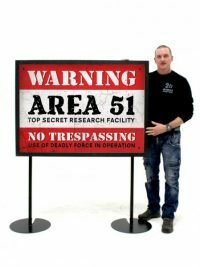 Area 51 Sign for hire. 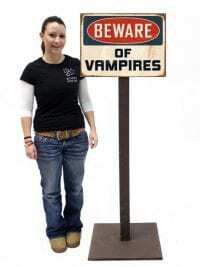 This freestanding warning sign will add an eerie realism to your space and sci-fi themed event or party! Take a look at our Area 51 peep-thru board (below) too! 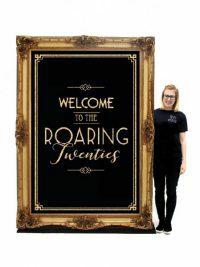 Art Deco Style Giant Gold Framed Sign to hire. 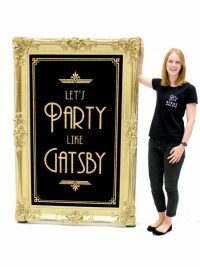 This lovely Art Deco style sign is the perfect prop for your 1920s or Gatsby themed event or party; and the frame is completely frestanding! 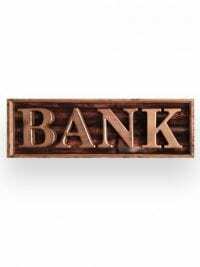 Check out our other options for giant Art Deco Themed Signs below. 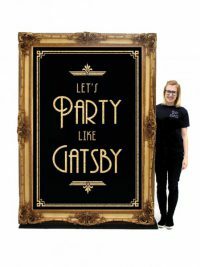 This lovely Art Deco style sign is the perfect prop for your 1920s or Gatsby themed event or party; and the frame is completely freestanding! Art Deco Style Medium Gold Framed Sign to hire. 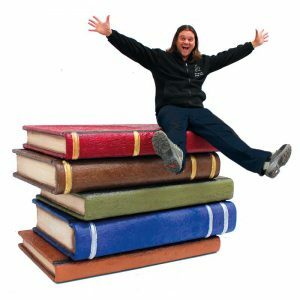 Check out our other options for giant Art Deco Themed Signs below. 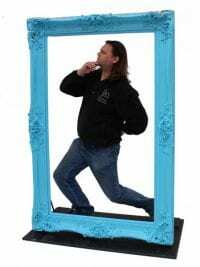 We can also offer this insert in one of our giant gold frames. 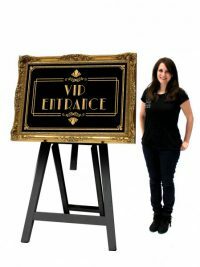 Perfect for your Gangsters or Wild West event; why not hire this sign with our bank vault or jailhouse (picture below)! Beware of the Ice Road Sign to hire. 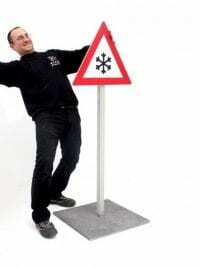 This is a freestanding road sign with the traditional and well known symbol warning drivers to Beware of Ice or Snow. 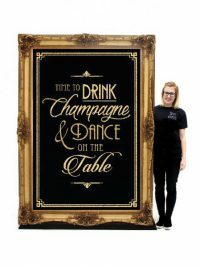 The sign would be great at any winter themed event or party. 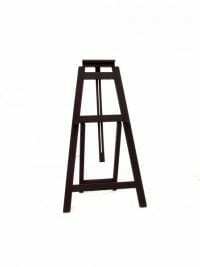 Black Easel Frame to hire. 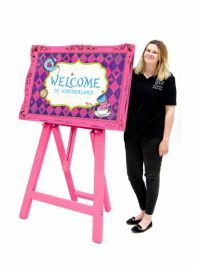 This Black wooden easel is suitable to mount a small sign or framed picture on including a number of signs we can supply such as our VIP Welcome sign. 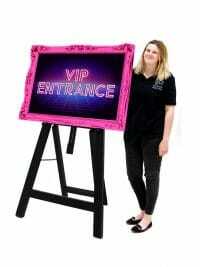 We can also provide personalised signs at additional cost. Black Frame with Zombie insert to hire. 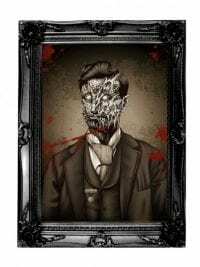 This is a hanging creepy looking vintage portrait of a zombie gentleman that will really add a certain ambience to your Halloween event or party!There are two more designs in this range to choose form or why not hire them as a set? Event Prop Hire are happy to supply bespoke or customised prints for these frames for your special event or themed party. 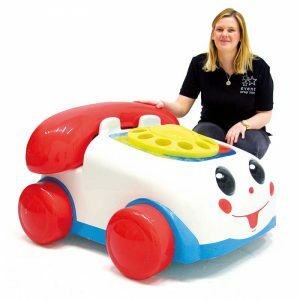 For further information please speak to one of our sales representative. 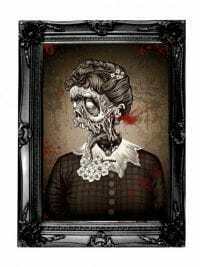 This is a hanging creepy looking vintage portrait of a zombie lady that will really add a certain ambience to your Halloween event or party!There are two more designs in this range to choose form or why not hire them as a set? 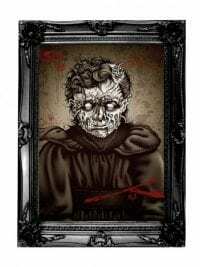 This is a hanging creepy looking vintage portrait of a zombie girl that will really add a certain ambience to your Halloween event or party!There are two more designs in this range to choose form or why not hire them as a set? Boom Comic Sound Sign for hire. 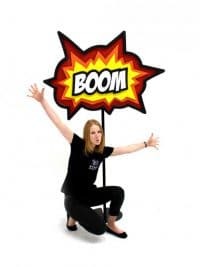 Add comic book style gags to your Superhero event with our comic book sound signs! 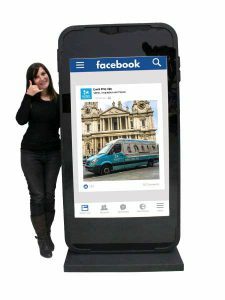 We also have KAPOW, KABOOM and ZOING signs to hire – take a look at the picture opposite and below! Wild West Sign for hire. 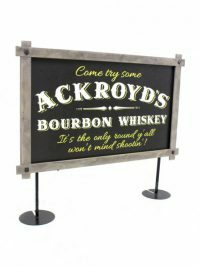 This sign would be great as part of the scenery at your Wild West themed event or party. 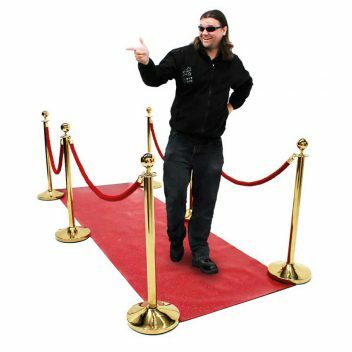 We have loads of Wild West props to create a really authentic look for your themed event; take a look at some options below. 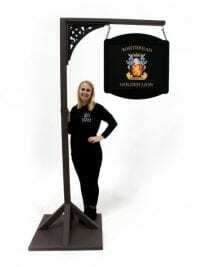 Traditional British Pub Sign prop to hire. 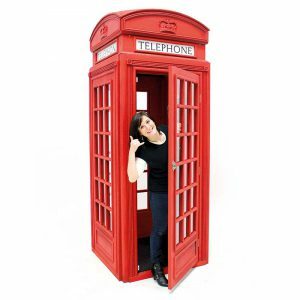 This double-sided freestanding prop is constructed from wood and has a swinging sign depicting a typical British named pub. 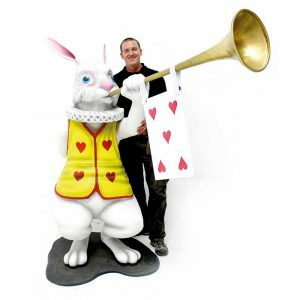 This is the perfect prop to hire for any traditional British themed pub party or event. We also offer a customisable version of this prop that allows a custom double sided print to slot into the rustic wooden frame. 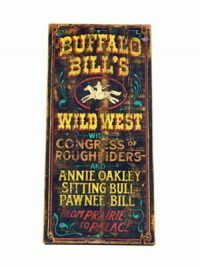 Authentic western signage detailing Buffalo Bill’s Wild West with Congress of riders, sitting bull and other interesting people! Cafe Bistro A-Board to hire. Perfect for any French, Parisian or Moulin Rouge themed event party! 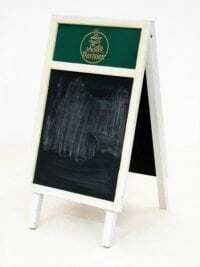 Board is freestanding and can be written on with chalk. 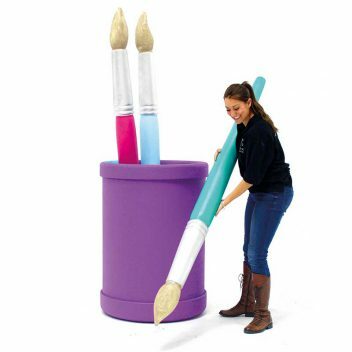 Please note that you will need to supply your own chalk.